Attorney J. H. Lammers opened our law firm in 1932, and he was joined by his son Jerome B. Lammers in 1961. 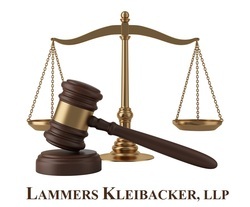 Wilson Kleibacker joined the firm in 1972 and became a partner in 1973. In February of 2018 Jacob D. Dawson joined the firm. As a long-established firm in Madison, we can provide clients with many years of experience. The reputation we have developed over the years has led to many of our clients coming to us as referrals. Our firm’s mission is to support our clients by offering excellent legal guidance. We take the time to listen to you when you come to our office with legal needs and concerns. We take pride in providing our services in a timely manner.